I have heard several photographers say that the best photographs are often obtained not in exotic locations, but close to home, in the area where you live, that you know well. I am fortunate to live on the edge of the city, on the hills, and with a large garden. So there are ample opportunities for exercising my camera. Today I am posting just two images, different interpretations of windy weather that we've experienced recently. 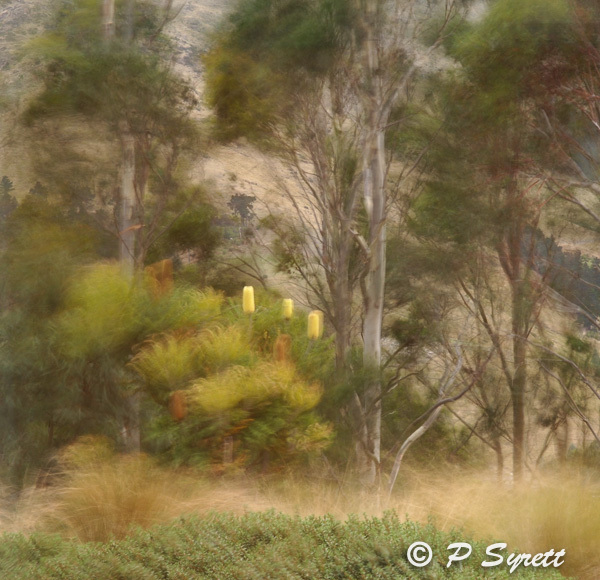 Banksia and Eucalyptus growing in a garden on the Port Hills, Christchurch. I took the first photograph in our garden on a slow shutter speed to show movement in the wind. 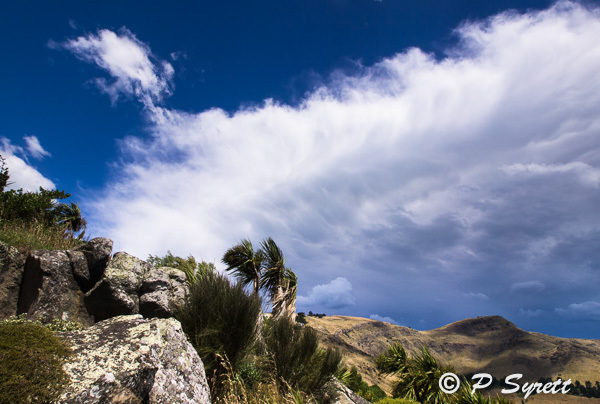 The second is also from the garden, and shows the approach of a southerly front, and the clouds are moving rapidly. The cabbage trees in the foreground are being blown violently by the wind. I am not pretending that these are high quality images, but being on the spot enables me to try out different techniques when the weather cooperates. In this way I hope to improve so that when I am travelling I am able to take advantage of opportunities that offer themselves.